April | 2016 | ohdenny. Nine Taiwanese Dessert House located on Swanston St is similar to Dessert Story, serving a variety of ice-y sweet treats and Bubble Tea drinks. What I love about Dessert Story is their ice machine for some of their “snow” menu options, has this delicious slightly sweet and milky shaved ice. This dessert house also has the same but is it as good? 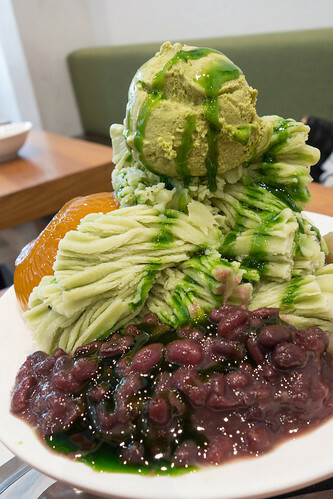 Their Green Tea Snow Ice, comes with red bean, jasmine jelly, taro and sweet potato balls topped with a scoop of green tea ice cream. It’s decorated with this green syrup of sorts. The snow ice here isn’t too bad, it lacks the same creaminess that the Dessert Story ones have. It’s also very sweet all over, with this sort of odd fake taste to it. The jasmine jelly is nice though, and is the reason why I tried making Ooolong Tea Jelly, not too sweet but with this subtle tea flavour to it. I liked their Taro Bubble Tea though, but the one they gave us was warm because they just cooked the taro so that was a bit disappointing. At least it’s real taro! Maybe their other dessert options are better? First impressions weren’t too great, I might come back again but for now I’d still go to Dessert Story if I had the choice. I had a bowl of egg whites left over from a previous recipe and was trying to think of something I could use it for. 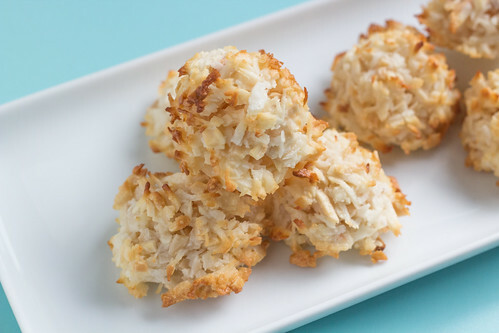 Here I found a macaroon recipe from A Dash of Sass that has an amazing moistness to it, and yet retains that balance of crunchy exterior, and nuttiness with that lovely coconut aroma. I opted out of drizzling chocolate on top as I felt that this could stand on its own, but if you wanted to decorate it with chocolate please follow the link to the original recipe. 2. 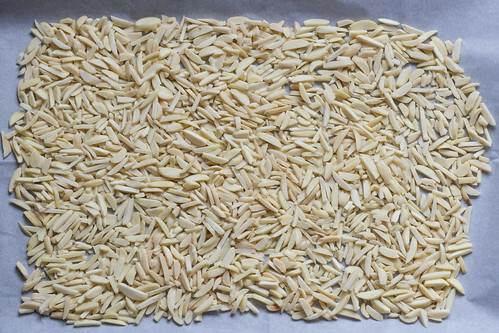 Place the sweetened flaked coconut and almonds on separate lined baking trays and bake until lightly toasted. Stirring frequently so that it toasts evenly for around 12 minutes. 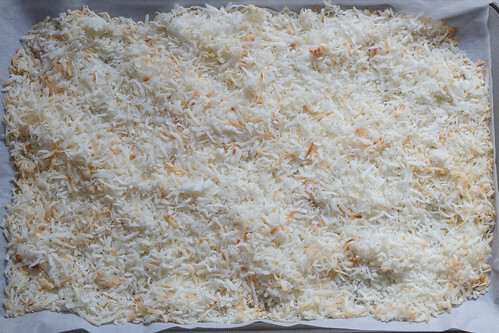 Leave oven on after removing the toasted coconut and almonds. 3. Chop the almonds and set aside. 4. 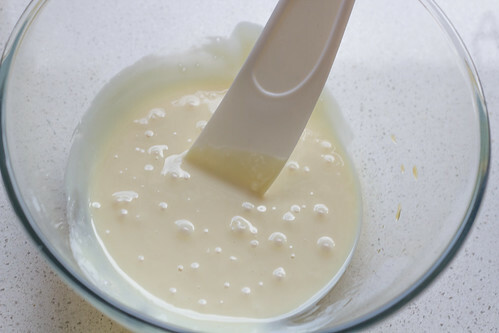 Combine the condensed milk and vanilla extract in a large bowl. 5. 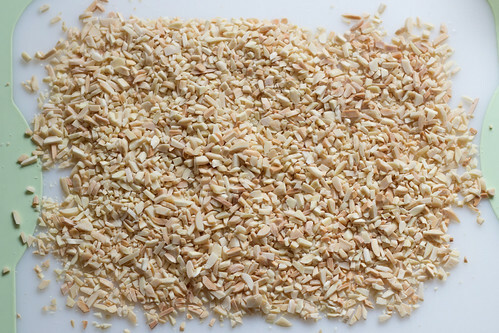 Mix in the coconut and almonds until well mixed. 6. 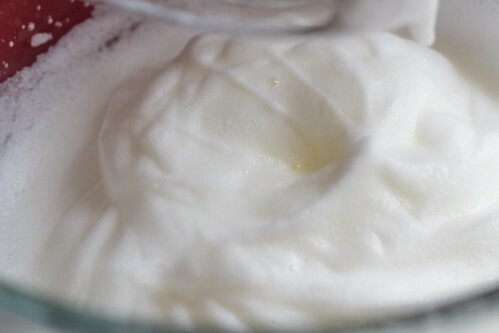 Using an electric mixer, beat egg whites and salt until stiff but not dry. 7. 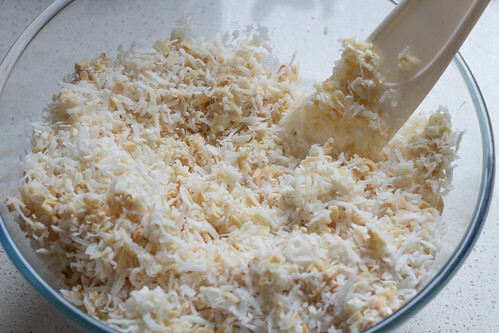 Gently fold egg whites into coconut mixture. 7. 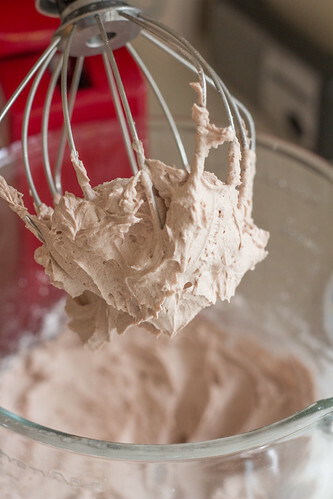 Drop batter onto baking paper using rounded tablespoon. 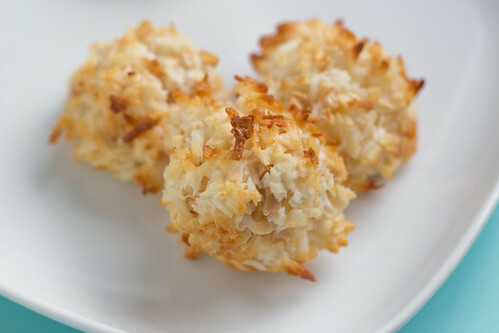 You can also shape it with your hands if you like your macaroons more even in shape. 8. 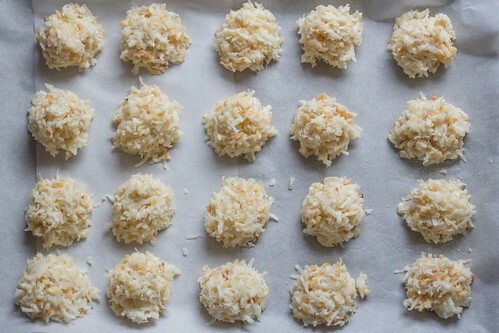 Bake until macaroons for around 14 minutes or until they just turn golden brown around the edges and then leave to cool. 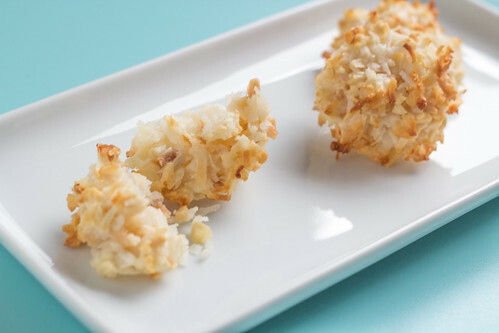 These crunchy little things are deliciously moist and has an incredible coco-nutty aroma to it. 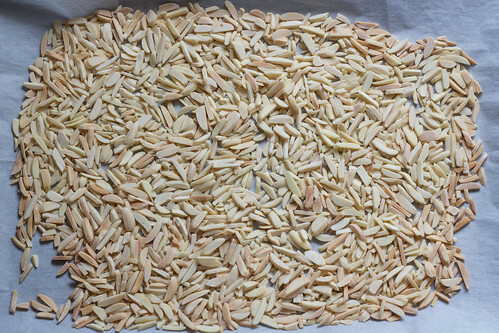 Place the sweetened flaked coconut and almonds on separate lined baking trays and bake until lightly toasted. Stirring frequently so that it toasts evenly for around 12 minutes. 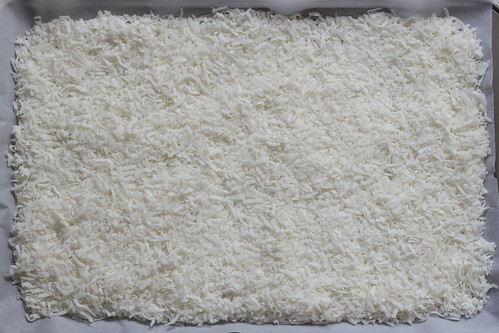 Leave oven on after removing the toasted coconut and almonds. Chop the almonds and set aside. 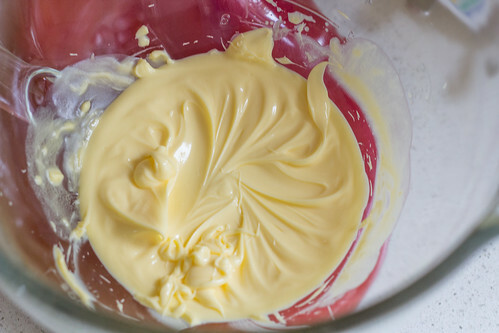 Combine the condensed milk and vanilla extract in a large bowl. 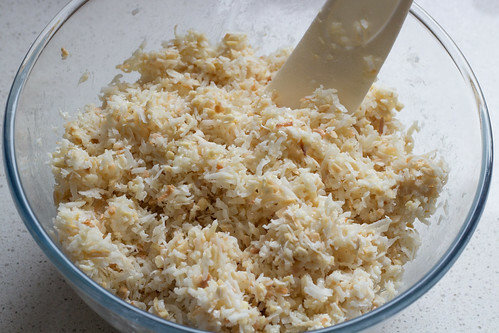 Mix in the coconut and almonds until well mixed. 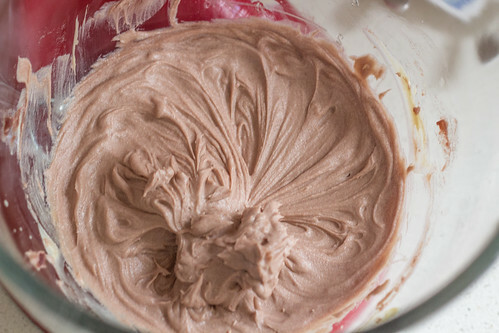 Using an electric mixer, beat egg whites and salt until stiff but not dry. 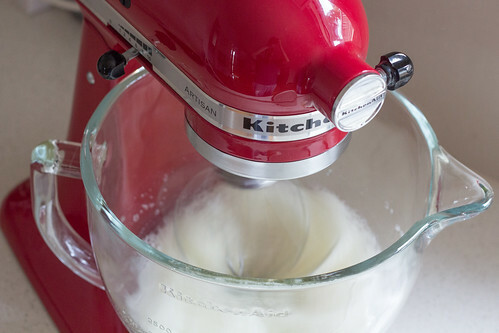 Gently fold egg whites into coconut mixture. 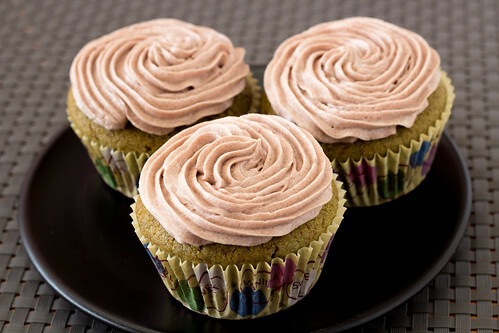 Drop batter onto baking paper using rounded tablespoon. You can also shape it with your hands if you like your macaroons more even in shape. 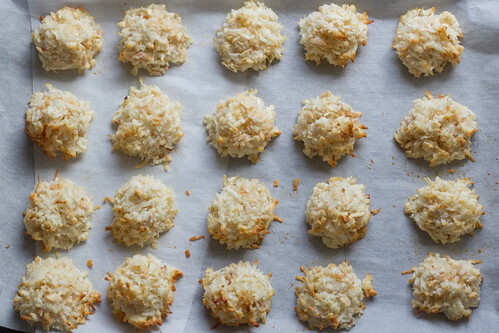 Bake until macaroons for around 14 minutes or until they just turn golden brown around the edges and then leave to cool. 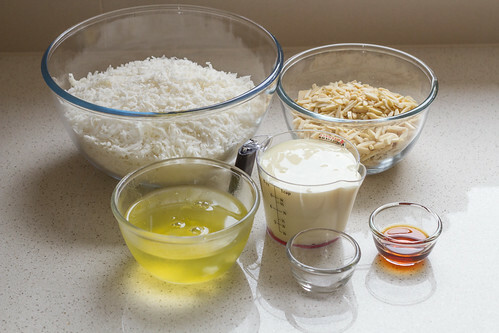 If the mixture looks too wet, just add a bit more toasted coconut flakes until it comes out with the consistency you like. 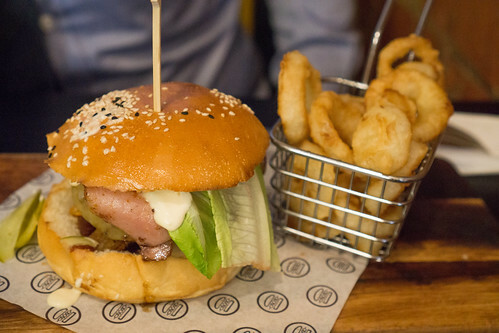 Meat in the Middle on Kingsway in Glen Waverley offers an selection of souvlaki dishes and burgers. It’s a cute little place, that is buzzing in the evenings. You can order your souvlaki in a wrap, or open platter and all their menu items have interesting names to go with them. 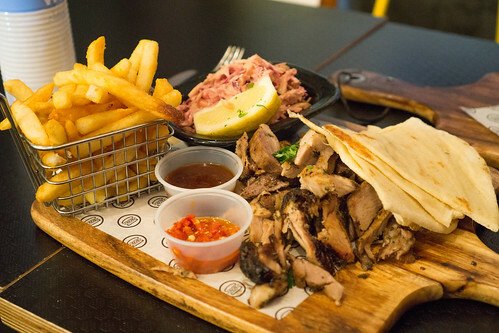 The Kingsway, is their fusion souvlaki with a side of chillies to eat with your pork gyro and pita bread. It’s a very filling meal, and I love the freshness of the Apple slaw, which I didn’t find to be too rich in dressing. Tasty dishes and decently priced. I’ll be baaack! One of my favourite cupcakes is the Red Velvet Cupcakes with Mascarpone frosting. What I love about the cake is how moist it is because of the lack of butter which is replaced by vegetable oil, yoghurt and vinegar. Being a fan of all things green tea, I thought about using that recipe here and it came out really well might I add! 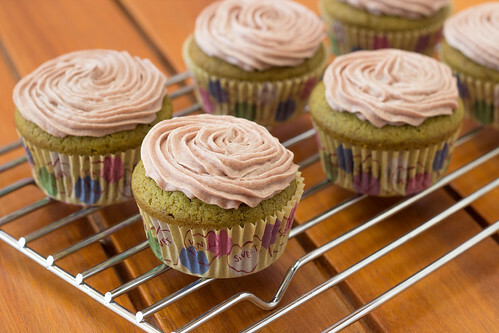 The Red Bean Buttercream Frosting was adapted from Cupcake Project and I do recommend try making your own Red Bean paste unless you can find a really authentic red bean paste. 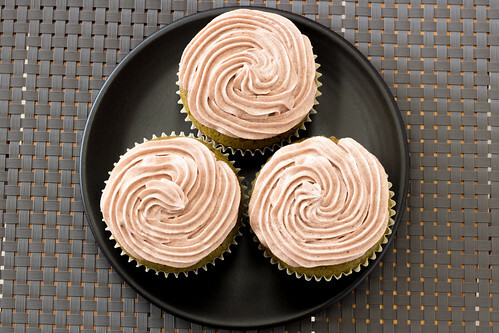 The ones I could find in Melbourne, all had loads of sugar and other ingredients instead of red beans and the frosting won’t be as flavoursome. 2. 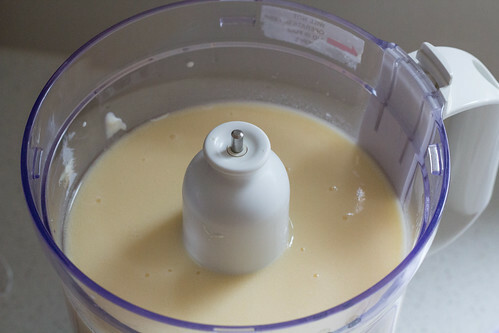 In a food processor, mix the eggs with the caster sugar, vegetable oil, plain yoghurt, and vinegar. 3. 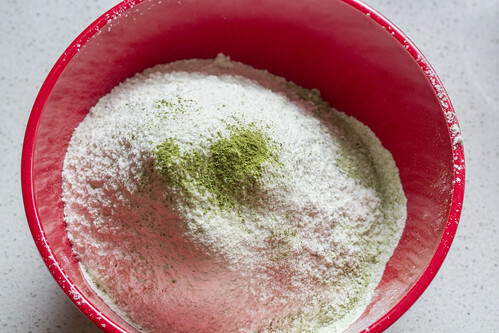 Sift plain flour, green tea powder, baking soda and salt in a separate bowl. 4. 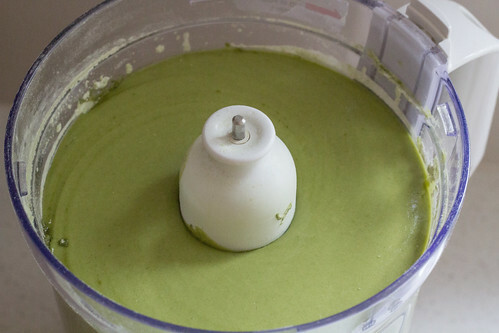 Add in sifted ingredients to the food processor and blend until just incorporated. 5. 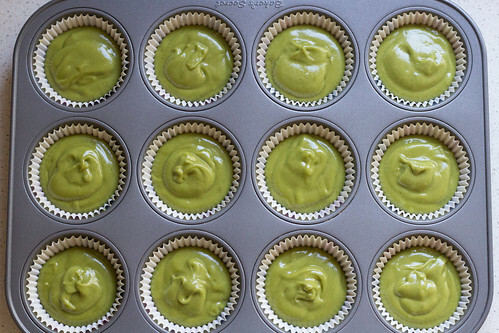 Place cupcake papers into a muffin pan, divide the batter in the cupcake papers, pour only halfway so batter doesn’t overflow, and bake, rotating half way through, for 25 to 30 minutes. Remove and let cool. 1. Mix the butter until light and fluffy. 2. Add in the red bean paste and beat until smooth. 3. 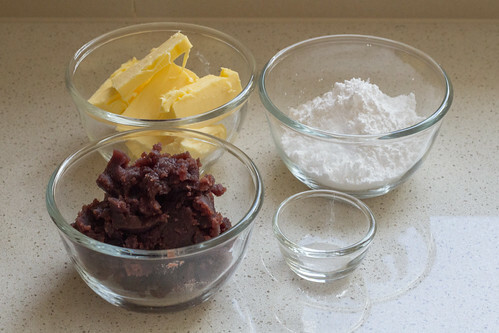 Mix in salt and sifted icing sugar until combined. 4. Pipe onto cooled cupcakes. 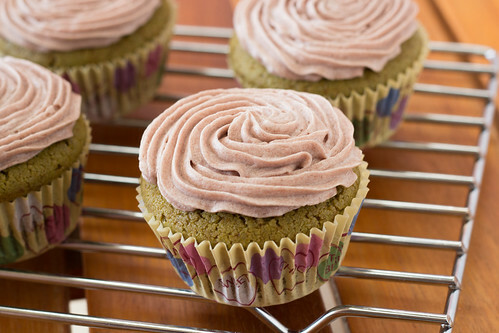 Aromatic green tea cupcakes with the delicious pairing with red bean frosting. 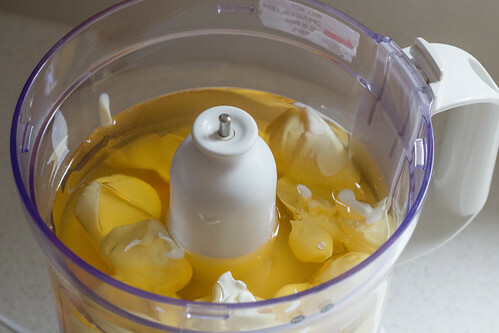 In a food processor, mix the eggs with the caster sugar, vegetable oil, plain yoghurt, and vinegar. 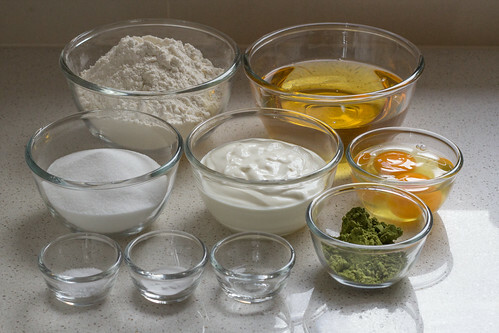 Sift plain flour, green tea powder, baking soda and salt in a separate bowl. 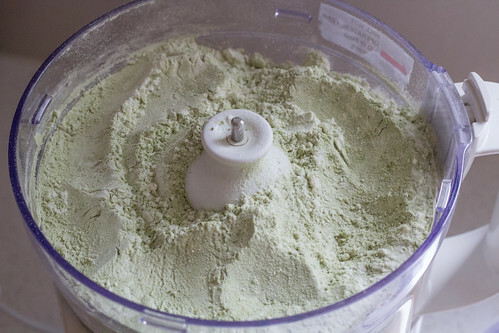 Add in sifted ingredients to the food processor and blend until just incorporated. 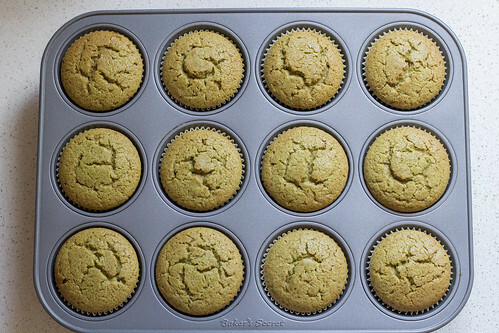 Place cupcake papers into a muffin pan, divide the batter in the cupcake papers, pour only halfway so batter doesn’t overflow, and bake, rotating half way through, for 25 to 30 minutes. Remove and let cool. 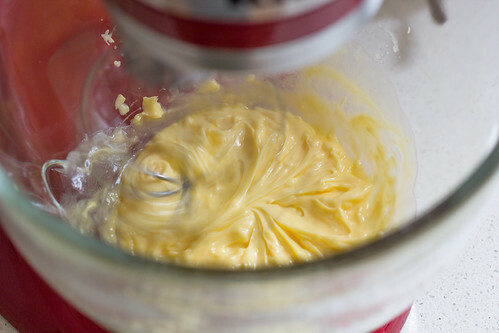 Mix the butter until light and fluffy. Add in the red bean paste and beat until smooth. Mix in salt and sifted icing sugar until combined. 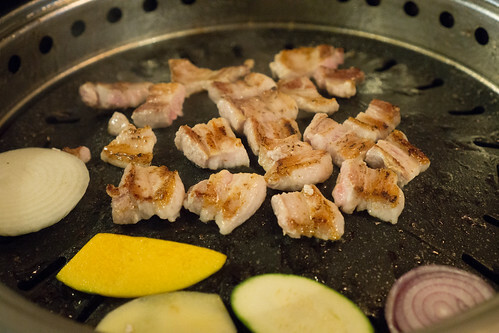 BBQ Code on Springvale Road, Glen Waverley offers Korean cuisine, specifically, Korean BBQ but they also offer the more commonly known Korean dishes such as Bibimbap, Korean Fried Chicken and Kimchi Soup. There aren’t many Korean restaurants in Glen Waverley, so it’s presence in the area is much welcomed. 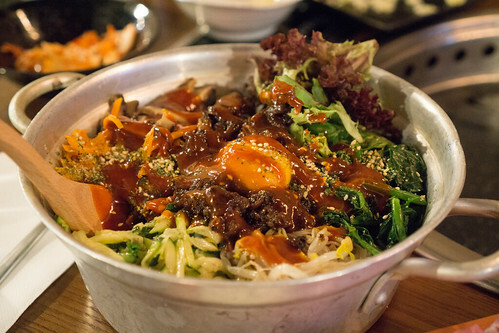 The Bibimbap is flavourful with fresh vegetables and tasty seasoning. It’s quite good value! 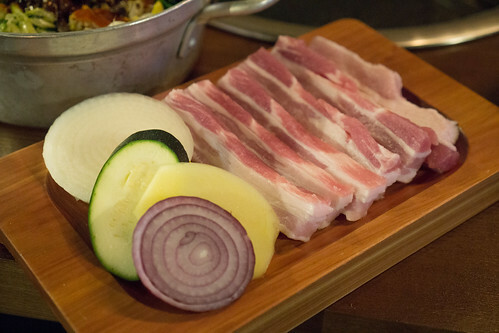 Their Pork and Beef BBQ items comes with complimentary condiments like Korean pancake, Kimchi and Potato salad and the staff look after the cooking for you; unlike some Korean venues. 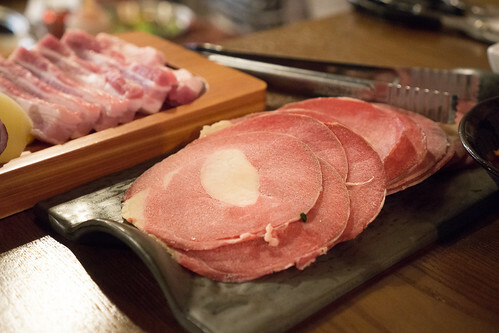 Their Pork and Beef items are nicely cooked, seasoned well and they come with a seasoning salt and chilli sauce for you as well. Though, price wise it’s definitely on the high end of things. 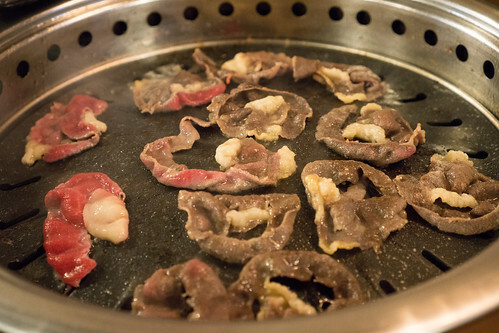 I’d probably recommend Korean BBQ places like ChangGo or Wooga in the city for taste and good value. BBQ Code is nice, but not worth the price to pay.